After last week, I was back again for another go, surely things could only get better! 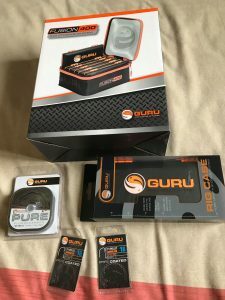 I popped to Tackleuk on Saturday and stocked up with some Guru gear and then spent a couple of hours replenishing my depleted hooklength boxes. 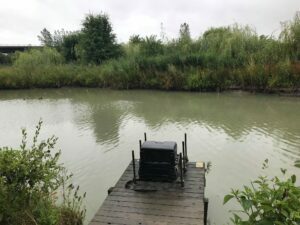 Some much needed rain was forecast and when I woke up it was lashing down and the temperature was a few degrees cooler which was much more bearable, the trouble was, strong winds were also predicted for today, so another uncomfortable day on the bank looked likely. When I got to the car park, I had to put my hoodie on for the first time in months, I collected some nets and said hello to everyone, there were quite a few of the Torquay contingent in attendance, with Yardie, Geoff and Glen all looking forward to a Tart free day as he was fishing the resi. Glynn and Jeff were both fishing so I checked to make sure I had enough change for their weekly pocket money. Before the draw, young Kenzie pulled out peg 2 for the golden ball which I felt had a chance, then it was time for us all to let fate decide where we would spend the next six hours. 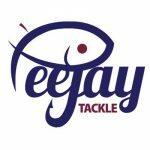 Glynn pulled out peg 7 which is a carpy corner and he didn’t look too impressed and then Jeff drew peg 15, another carpy corner with lots of reeds and I thought there was a good chance of some payback with a half decent peg. I stuck my hand in the bucket and pulled out peg 2, that’ll do! Ray Wickham was on peg 39, which I fancied and Jess Jordon had drawn peg 13 which was also in a decent silvers area. I got to my peg and the level of the lake was still painfully low and we’d need a lot more rain yet. Plumbing up, it was a bit concerning that it was less than two feet deep all across the peg! I set up a 0.3 gram NG Mini Gimp to fish top two left, right and straight out and also at top two plus one straight out. 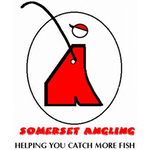 I set up one of Smithy’s wire stemmed floats to fish to my right at ten metres and also in front of the empty peg 1. On my side tray I had Bait-Tech 2mm Carp and Coarse micros that I’d soaked the night before plus 4mm Xpands for the hook with a pot of Special G Gold soft pellets as a change bait and some Bait-Tech ‘The Juice’ and Special G Green groundbait I’d mixed the night before. On the whistle I fed micros short left and right, a ball of groundbait on the middle line and then more micros on the right hand ten metre line and two balls of groundbait in front of the empty peg to my right. 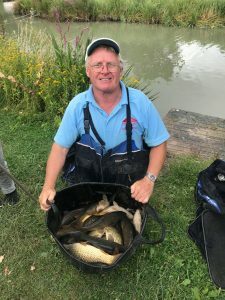 I started at top two to my right and after a couple of minutes, the yellow tip sunk from view and a 2oz skimmer got me off the mark, I glanced towards Glynn on peg 7 only to see him hold up a pound skimmer, great, I was behind already! Next chuck, another positive bite but this time the strike was met with solid resistance, a decent carp of 5-6lb came to the top and wallowed and I managed to net it without too much hassle before it knew what was going on! Then I had another, this one around 4lb and it was time to swap lines, I went to the left but after a biteless ten minutes I was soon on the short line out in front. I had a 6oz skimmer followed by two more in quick succession and also lost a carp to finish the first hour with a flourish. I’d seen Glynn net another skimmer but Ray looked to be struggling, my next bite resulted in a pound skimmer flying out of the water but I safely netted it and I was up to around 2lb of silvers (and 10lb of carp) in just over an hour. I then spent too long fishing that line, hoping there were some more decent skimmers about, Ray had a couple of hand sized skimmers from his longer line so I picked up the other rig and tried the right hand ten metre line for the first time, I missed a couple of good bites before hooking (and losing) another carp, the next two bites resulted in carp, one that thought it was a skimmer until I got down to the top kit so that was enough of that for the time being! I then tried in front of the empty peg to my right where I’d fed two balls of groundbait at the start but never had a bite there and after a steady start, I was now struggling. Along with my top two plus one line I’d also started feeding at five metres angled to the right and after another fruitless go on my top two lines, I tried five metres but it was just more of the same as carp tore off sending up loads of bubbles and silt and just generally ruining every line I fished! I was starting to get that sense of deja vu! As we passed the halfway mark, Glynn shouted up to ask if had 7lb yet, I replied saying I didn’t have 3lb! 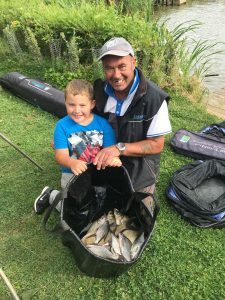 He went for a little walk to see how Jess and Jeff were doing and as he came up to see how his Dad was getting on he reported that they were admitting to around 4-5lb each. So it sounded like it was fishing quite hard and I only needed a couple of decent skimmers to get me right back in it (easier said than done though!). I wanted to leave my top two plus one line as long as possible so kept swapping between my short lines and the five metre line over the next hour or so, I did catch a couple of roach but carp were being a pain again, it wasn’t as bad as last week but I would definitely be tying more hooks on Saturday! With around two hours to go, I was just thinking about trying my top two plus one line for the first time when I had a skimmer at five metres and things got even better when I had another not long after. The next fish was a carp though so with ninety minutes remaining it was time to try my carefully fed and nurtured top two plus one line. First put in, the float sailed away and I had a decent flying skimmer, ‘Here we go’ I thought but it proved to be a false dawn as a succession of hooked carp followed, judging by all the elastic on show and much head shaking coming from Ray’s direction, I guessed he was having the same issues! In amongst the carp I did manage another skimmer and then hooked a fish which didn’t feel like a carp but how many times had I said that over the last few matches so I was delighted when it surfaced and I saw a flash of green, tench! I played it carefully and netted a nice fish of a pound or so which I thought would put me on around 5-6lb. I saw Glynn net a big skimmer and he was looking good for yet another silvers victory (and a pound off me), I did manage another skimmer but any hope of getting close to Glynn disappeared when I glanced up to see him strike and another big skimbob came flying out the water. Once again I wasn’t too disappointed to hear the final whistle, my final tally was 10 skimmers, 2 roach and a tench plus around a dozen carp. I packed up and as we loaded the cars, I paid Glynn pound number five as he was admitting to double figures and when Jeff said he thought he wouldn’t be far off that, I paid him as well! The scales soon arrived at Ray’s peg and he weighed 3lb 9oz of silvers, I was next and my carp went 42lb 10oz before my silvers went a rather disappointing 5lb 8oz. Glynn had 11lb and then Jess on 13 had 7lb 7oz of silvers and 24lb 11oz of carp. Jeff weighed 9lb 1oz to go into silvers second place and Yardie on 17 had 3lb 4oz of silvers and 39lb 2oz of carp. Gareth Lennox did well on peg 19 when he had 8lb 6oz of big skimmers and 89lb 5oz of carp to give him a 97lb 11oz total. Jim Jenner went into second place overall with 69lb 14oz from peg 23 before we got to Captain Catastrophe (aka Geoff Young) on peg 31. This weeks calamities included forgetting to bring his keepnet attachments and he chucked back 5lb of silvers to use the net for carp and then caught a 3lb skimmer which also went back, he weighed 63lb 7oz of carp but what nobody could understand was, there was a unused third keepnet on the bank behind him! Glen didn’t weigh on 33 which just left Mike West on 35, he was admitting to a good weight and after his three nets were emptied, his total was 116lb 11oz. So another really disappointing day for me and I’m just not getting it right at the moment, I’m back again next week but it’s on Sellicks so come back then to see if I can stop this bad run. jamie dont feed so many lines at the start.just feed one then when the carp arrive start another.